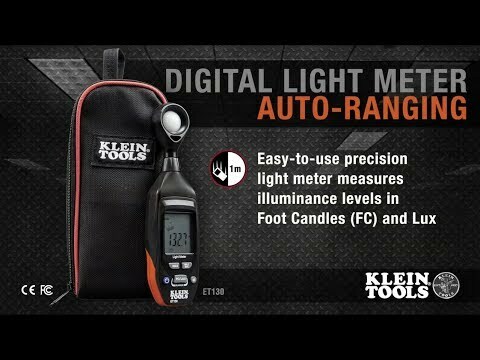 Klein Tools ET130 is an easy-to-use precision light meter that measures illuminance levels in both Foot Candles (FC) and Lux. Backlit LCD display screen with bar graph assists when monitoring light levels and for retrofit projects. Includes custom carrying pouch and 9V battery.